114 customers have given this product a 4-star rating. Of these, 109 customers have written no texts or given their feedback in another language. Before all I need to clarify that i'm not a pro Drummer, I play mostly for myself therefore my opinion is based on a home setup meaning sound trough headphones. Sound Bank: not bad and rich of option, free combination allowed and good sample quality, easy to set up via the Main Module or USB. Main Module: nice build unit, too much of a plastic feeling and knobs and tuner are too small if you have big hands, nothing that bother me tho. 2 x extra output available, not all main module offer that at this price range. Rack: the rack is nicely shaped and it is made of solid material, upside is that it doesn't transfer much vibration to the pads, down side is the winged screw system to build the rack together. they are ok but after few hours of practicing you need to tide them up over again. can be solved by replacing them with standard screw and bolt system. 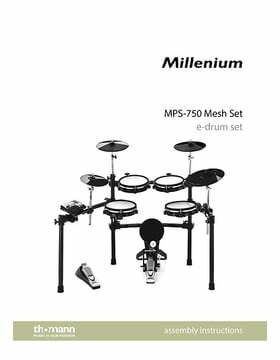 Pads: i have tried out Roland and Yamaha pads from much more expansive drum set and honestly these from Millenium are really good mesh, nice look, nice feeling and the bouncing of the sticks is really realistic. 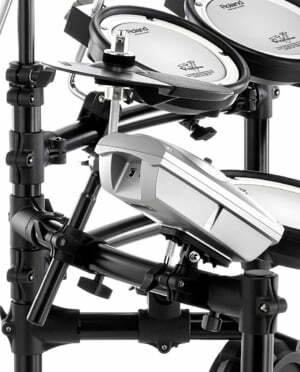 the anchor point provided to connect the pads to the rack are a bit weak, needs to be adjusted every few drumming sessions. Hit stick noise is pretty low. Cymbal: 3 x 3 zone cymbal with choke.... no need to add more. really nice to play on and not to noisy when hit with sticks. 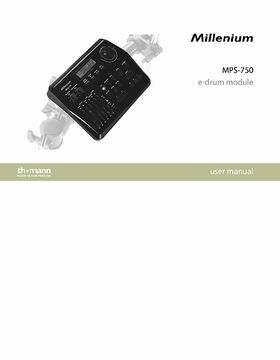 Hi-Hat: this is the only item i will replace soon, the response and the open close function is not the best around, will probably changing with the Alesis Pro X Hi-Hat set which I had before on my Alesis DM6 and was very happy with it. Kick Pad: solid and silent, even with double kick set-up, had to add a screw in the back so it doesn't run away from me while playing. Easy to configure from main module or from PC via USB. cable provide are of good quality, maybe 50 cm extra on each of them would make the wiring and cable management easier. Overall impression is good, really good and so far I'm enjoying it really much. For this price i do not think you can get anything better that this one. To start off, I previously owned the MPS200 Drum Set and started playing drums directly on electronic drums, my goal is to play decent metal rhythms. I was looking for a mesh kit that would allow me get the rebound feel from the pads. I use the pads to trigger through MIDI in Addictive Drums 2 using a second-hand Alesis DM10 drum module. 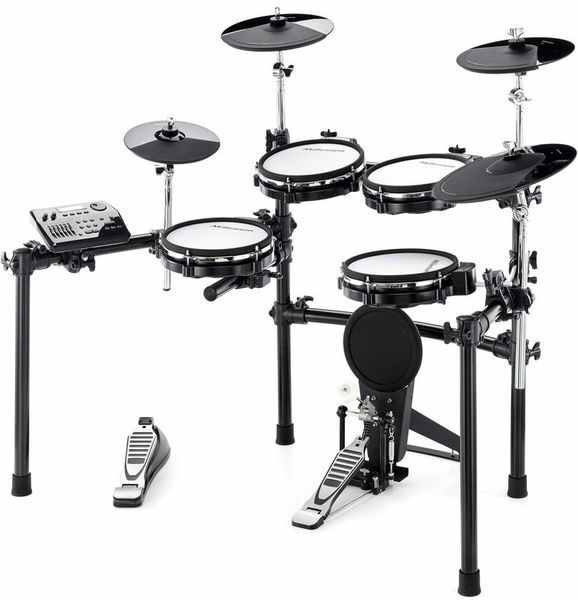 I did want to buy the Alesis DM10 kit but the price is too big compared to this kit. A first minus for this kit is the lack of MIDI output/input. 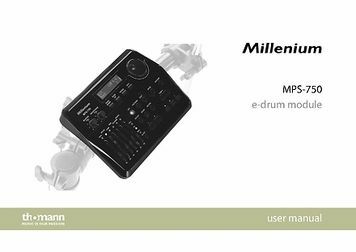 It does have a USB MIDI interface but from my experience with MIDI USB the latency is too big and on drums you feel it right away. The sounds on the kit are poor, but like I mentioned I don't use the sound module at all. 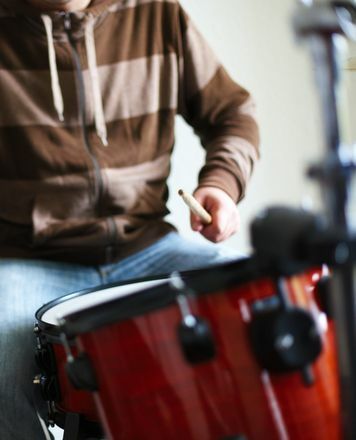 Most drum sound from drum kit modules (including the Alesis DM10) except for Roland kits will sound way worse than Addictive Drums or EZ Drummer. Build quality is a bit poor, some of the plastic bindings have cracked (luckily I can use the old bindings from the MPS200 kit which are sturdier), but I'm sure that there are replacement bindings to be found or even another better quality frame to buy. But now to the most important part: the actual playability of the kit is impressive. Technically, all triggers work flawlessly out of the box. Rimshots, all zones work perfectly. I recently got a Roland Mesh head pad to use as a snare and I can say the mesh pads are very close to the Roland one. The kick pad is ok, a standard rubber kick pad, I use the one supplied with the MPS750 together with the one from the old MPS200 kit with two single pedals. Kick-pad It is very responsive and fits well to any kick pedal holder system clamp. Cymbal pads are decent, very responsive aswell. Hi-Hat cymbal pad is a bit small but works well with the hi-hat controller provided. Although I only use the pads of this kit (and frame of course), I must say it's a best buy for a mesh head kit. When using it to trigger external sounds is where it shines, it can be used in any home studio with no problem.  ID: 372716 © 1996–2019 Thomann GmbH Thomann loves you, because you rock!